Healthcare spending in the United State far exceeds that of other high-income countries, according to the latest Commonwealth Fund report that looked at spending, utilization, prices, and outcomes across 13 countries. Despite higher spending, Americans have poorer results on several key health outcome measures, including life expectancy, the prevalence of chronic conditions, and infant mortality. The U.S. spent an average of $9,086 per person and achieved average life expectancies of 78.8 years; the second-highest-spending country was Switzerland, which expended $6,325 per person and achieved a life expectancy rate of 82.9 years. 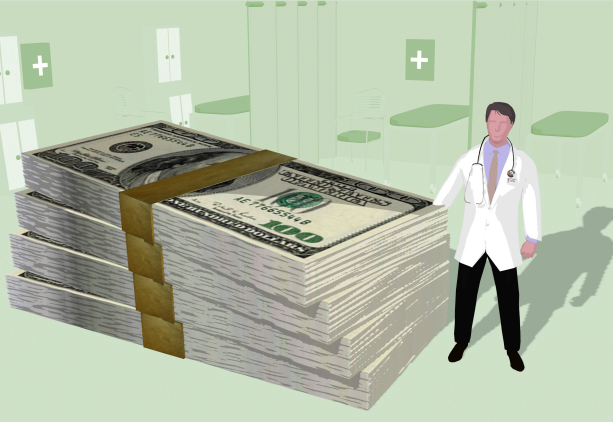 U.S. healthcare spending accounted for 17.1 percent of the country's gross domestic product, which was about 50 percent more than any other country. Even though the US was the only country without universal healthcare, the government spent $4,197 per person on healthcare, compared to Canada's $3,074 and the UK's $2,802. Americans had relatively few hospital stays and physician visits, but were higher utilizers of expensive medical technologies such as MRIs, CTs and PET exams. The U.S. had the highest pricing for hospital and physician procedures, as well as for pharmaceuticals. More than a third of Americans were obese – 15 percent higher than the next-highest country. One area where the U.S. had comparatively good health outcomes was in cancer care. Interestingly, the authors also note that the U.S. spent less than any other country for social services such as retirement and disabilities benefits, employment programs, and supportive housing, and, suggest the country's high level of healthcare spending may be crowding out spending for social services that support health. They conclude, in fact, that the imbalance between health and social service spending may be contributing to the population's poor health, and, point to previous studies that found a correlation between social policy and health outcomes. Of course, the U.S. won't be making any major flip flops in its social and healthcare spending policies any time soon, though the authors suggest that the shift to outcomes-based reimbursement models might incentivize providers to invest in certain social services. Several communities are already making headway in this area, with help from advanced health IT solutions. For example, at the recent Health 2.0 Conference in Santa Clara, Calif., several speakers discussed the use of population health management technology to identify patients at risk for health challenges. Jay Bhatt, chief health officer for the Illinois Hospital Association, shared how the Chicago Department of Public Health was using predictive analytics to identify children at risk for poisoning from lead-based paint. Using information from home inspection reports, census data, and other sources, the health department identifies homes with the greatest risk of causing lead poisoning. Providers can incorporate this predictive model into their EMRs and identify patients living in areas known to have a high risk for lead poisoning. Homes with greatest risk of causing lead poisoning can then be prioritized for clean-up before the children manifest health issues. Health IT can also impact patient health and the cost of care by helping providers proactively identify and manage the health of their patient populations. For example, Geisinger Health System realized a significant reduction in patients' risks for heart attacks, amputations, and diabetic retinopathy after deploying a program that combined analytics, decision-support tools, provider incentives, and workflow changes when caring for the system's 27,000 type 2 diabetes patients. And Texas Children's Hospital dropped the ordering rate for unnecessary chest X-rays for asthma patients by 30 percent after leveraging technology that assessed variabilities in care and resource consumption. The U.S. healthcare system is proof that spending big does not always equate to spending wisely. As more organizations shift to outcomes-based reimbursement models, one key to narrowing the spending/outcome gap may be to leverage health IT solutions and the wealth of data on patient populations to analyze and identify at-risk patients and proactively address their health and social needs.